Next to writing my books, the absolute best part of my job is visiting young readers. I've had the good fortune to travel the country, speaking to groups from Portland, Maine, to Portland, Oregon, with plenty of stops in between. I visit schools and libraries throughout the year, meeting with small groups and large assemblies of 500 or more. Each and every visit is a privilege for me, and I thank you in advance for considering inviting me to your school or library. I'll work with you to craft the perfect author visit for you and your readers. Here's a bit more about what I can bring to your students. On the Big Screen in California. My in-person assembly presentations run roughly 50 minutes to an hour with time for Q&A, but I can adjust that up or down. I talk about the importance of perseverance and a willingness to fail when chasing your goals (it took this author decades of rejection before he was published). I also incorporate elements of history such as a discussion of banned books and the origins of plague masks. But I keep it fun and interactive with a book trailer, lots of photos, trivia, mask-wearing, and plenty of volunteer participation. All of that said, I can be flexible based on your needs and preferences and I am happy to work with you to develop a format that suits your students. For example, if you are studying a particular topic in class that you would like me to touch on (editing, revisions, etc. ), I will be sure to include those elements. I often do more than one presentation in a visit if you would like to break up the classes. I usually max out at three per day so I don't lose my voice. When I spend a full day at a school, I also offer to have lunch or breakfast with a smaller group of students and teachers. I've found that the more avid readers and writers really enjoy the informal lunchtime Q&A. Of course, I also love to sign books and can help you coordinate pre-orders through a local bookseller. My presentations are ideal for grades 3-7, but I've worked with kindergarteners through 8th graders. I know how to tweak my presentations so that they can fit any audience. I love visiting schools and try to accommodate each school's limitations. I am currently offering FREE Skype visits. For Skype, I usually do a half hour, informal Q&A so that the students can ask any questions of interest to them (about my books, the writing process, being a writer, etc). I'm also happy to talk about any particular skills they may be practicing in class. Skype visits are completely free*, and while nothing beats an in-person visit, they've been a great option when distance or budget precludes me from coming in person. I've "visited" as far as London, England! * I just ask that you familiarize your students with my books so that we can make the most out of our visit. Please don't hesitate to contact me for rates or to work on planning a date. You'll be surprised by how affordable a custom visit can be, and I can work with you to combine schools during out-of-state visits to allow for the sharing of travel costs. Each visit is a unique experience so I'm always available to answer all of your questions. My goal is to visit at least 50 schools each year, but let's be even more ambitious than that. I want to eventually visit at least one school in every state. Be the first school to schedule an in-person or Skype visit in your home state and I'll add you to my map! Track my progress below and see if I plant my face nearby. 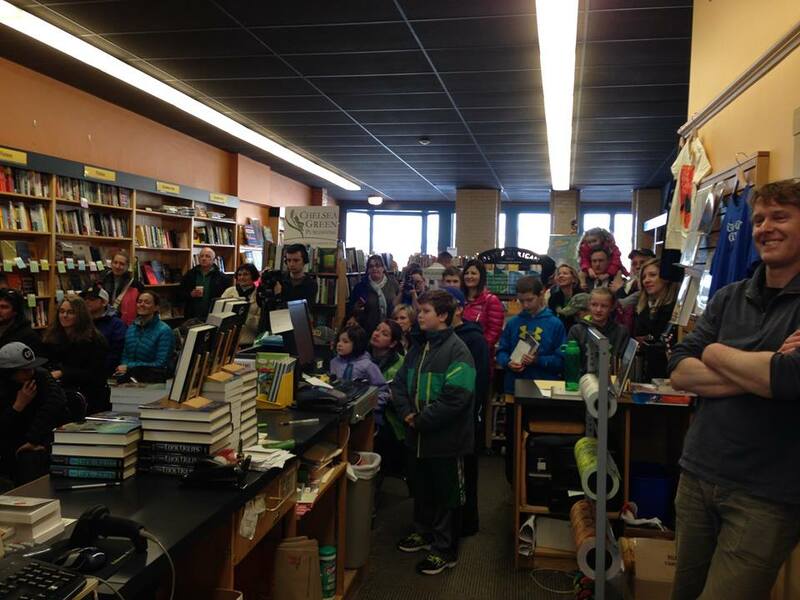 In addition to school visits, I regularly appear at bookstores, public libraries, and book festivals. 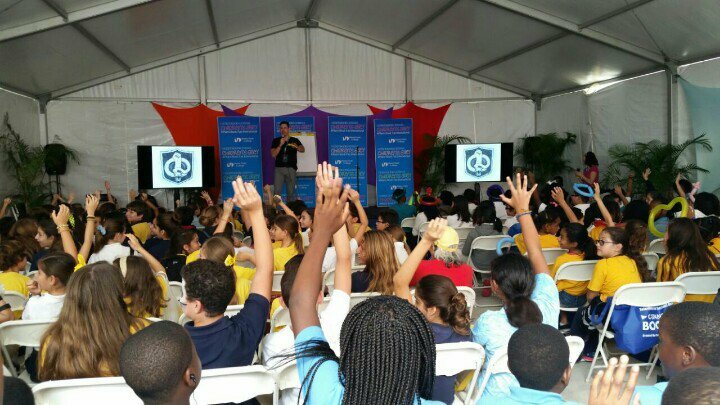 I've recently appeared to Book Expo America, the Boston Book Festival, and the Miami Book Fair International, just to name a few. Keep your eye on my EVENTS SCHEDULE to see if I'll be in your neck of the woods.